Oscar González Loyo (b. 1959), is a comic book artist mostly known for his creation Karmatrón y Los Transformables and founder along with his father and wife, Susana Romero, of ¡Ka-Boom! Estudio in 1994. He is the son of Oscar González Guerrero, legendary Mexican comic book master. From 1996 to 2000, he was the Animation Director for Plaza Sésamo, the Latin American co-production of Sesame Street, producing several animated segments (including Lapicito) and the animated opening sequence. As a child he was influenced by the work of Mexican comic book artists that frequented his house like Héctor Macedo, as well as from Walt Disney, Osamu Tezuka, Bill Hanna and Joe Barbera, Chuck Jones, Friz Freleng and Robert McKimson. At age 14, he became a professional artist for Las Aventuras de Capulina. Over the years, he has worked on Las Aventuras de Cepillín, Las Aventuras de Parchís, Katy la Oruga, El Monje Loco, The Flintstones, The New Speed Racer, Tiny Toons, Looney Tunes, and The Simpsons comics. 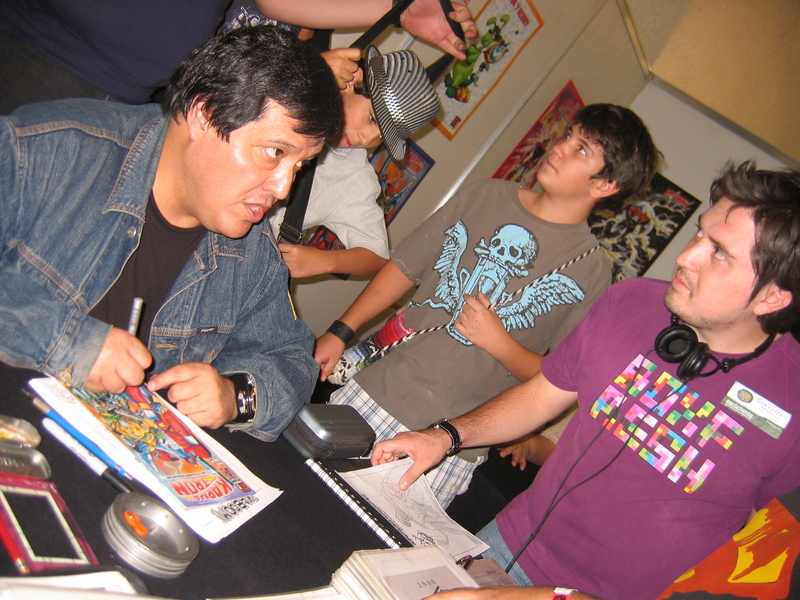 In 2000, he became the first Mexican to win an Eisner Award at Comic-Con International for his work on Simpsons comics.